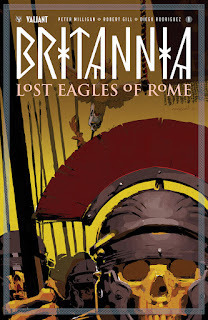 After binge-reading the first two volumes in Peter Milligan's Brittania series, I'm pretty excited to jump into this new story and see what our hero Antonius Axia is going to get into this time around. 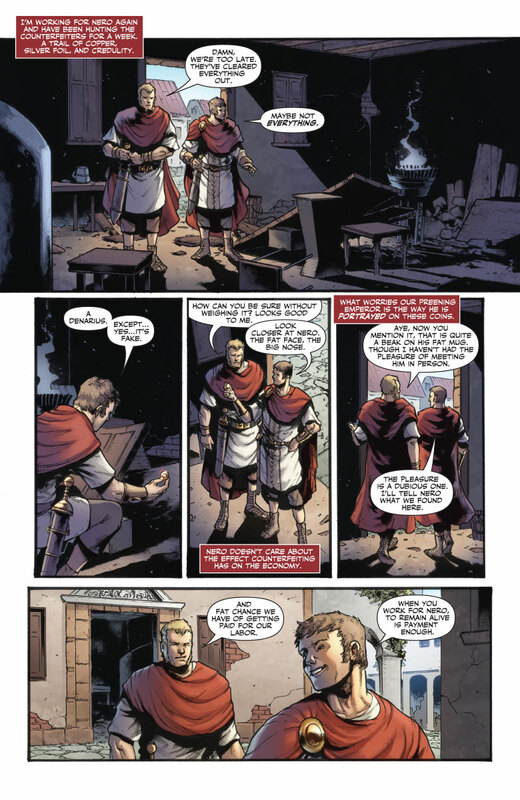 The first two trades were pretty dense, but everything came together to form some interesting stories of magic, gods, and the evils of Ancient Rome. So let's jump right into this third book and see where it goes. Much like with the first two volumes of the series, this one starts out with a lot of setup. While the others had a few more action sequences, this feels very similar to them. Some time has passed since the end of Volume 2, but it follows in the footsteps relatively well. Antonius is still using his detectioning skills to work for the rather incompetent Nero Claudius Caesar Augustus Germanicus. This is the first book in the series to feature a different artist, but it's not a drastic change. The art felt slightly more muddied at times, but it was still pretty solid. 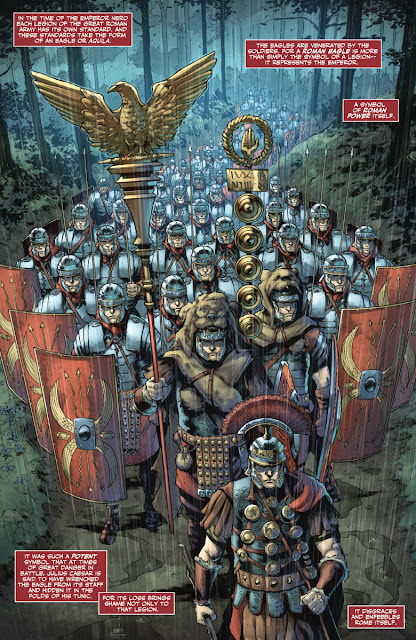 The character designs are all fairly similar, especially when they are all wearing their Roman robes, but the characters are easy to tell apart. It's when you get away from the Roman nobles and get some of the other characters involved where the designs really shine. Much like Bodmall stood out in the first volume, Achillia took over from the first time she was introduced and she continues to be my favorite character in this book. All of the Brittania books are undeniably wordy and dense, but Peter Milligan presents it in a way so that it's not a chore to get through. He utilizes a ton of setup, but he uses Antonius' detective skills to tie it all up together into a nice little bow at the end. There were a couple of times reading the first two trades that I had to go back and check on little things that he linked into the conclusion, and I have no doubts that he will do the same in this one. Overall, this is a Brittania book. It's not the most exciting of first issues out there, but the art is solid and I trust that Peter Milligan will pull everything together by the time the series comes to an end. If nothing else, these books show that you can write a good detective story and make everything make sense in just four issues of story, all while making the characters interesting and likable. 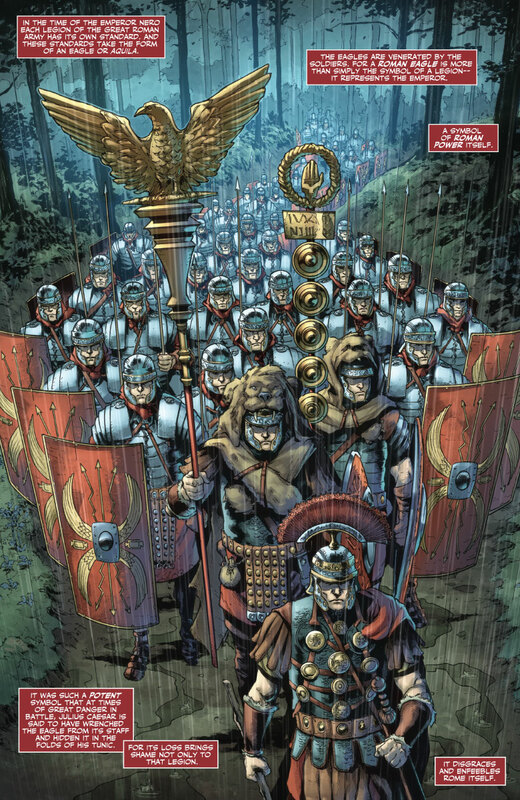 While this may not be an action-packed first issue, it does give some very interesting setup and provides some good character work for Antonius Axia and friends. The art is good throughout and the story is starting off in an intriguing way. 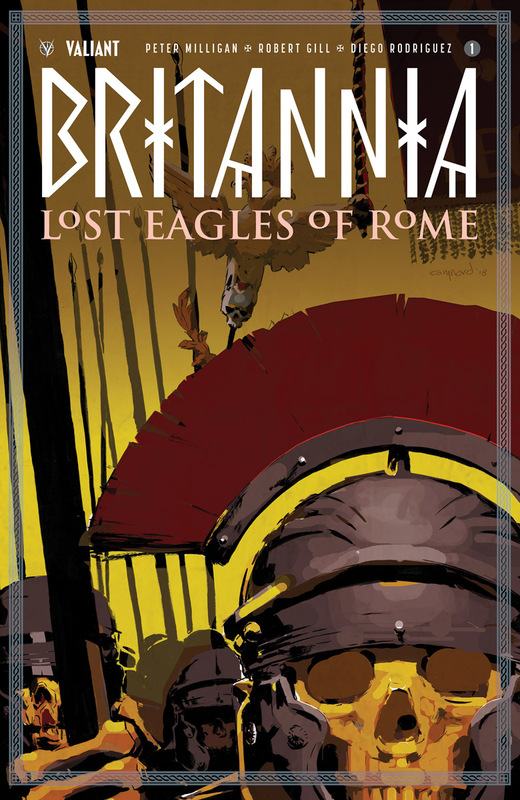 If you're a fan of the Brittania series up to this point, I don't see any reason you wouldn't pick this one up and give it a try. And if you've never read the others, this is a great jumping on point to get invested in the characters. I've been aching for a good detective story lately, and I trust that Peter Milligan will deliver just that.